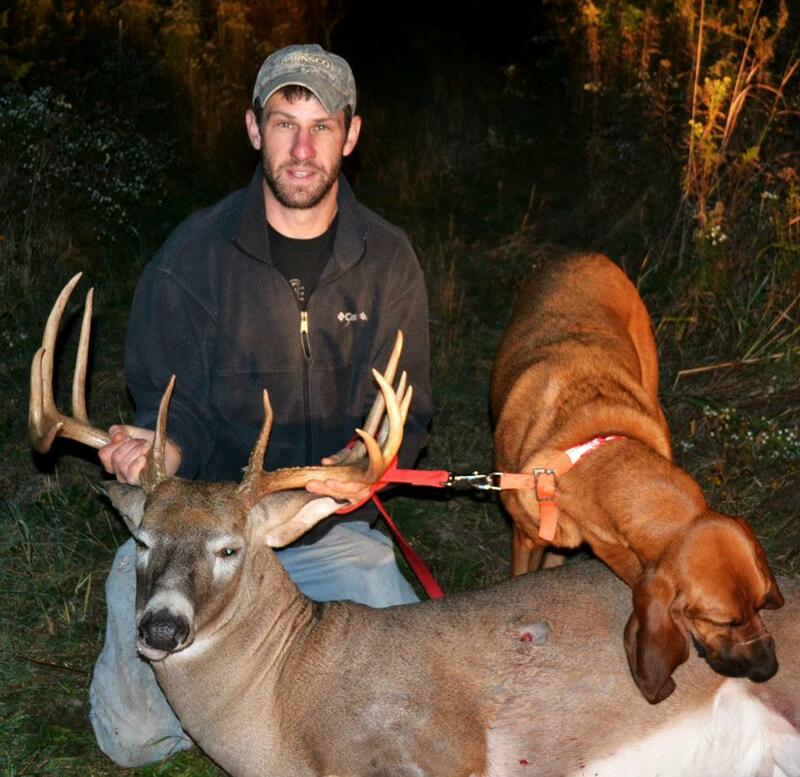 Tim made a 42 yard shot on this Oakland Co. 8 point. Tim thought he missed him low so he was extremely bummed out because he knew his abilities in making a 40+ yards shot was no problem. After getting done and searching for his arrow he quickly realized his blood soaked arrow was singing a different tune!!! They waited a few hours before picking up the trail. The blood trail was extremely easy to follow. A couple hundred yards later the blood trail was getting sparse so they decided to back out until morning. That night Tim brother suggested that he should hire Tracker Rob & Sypris. 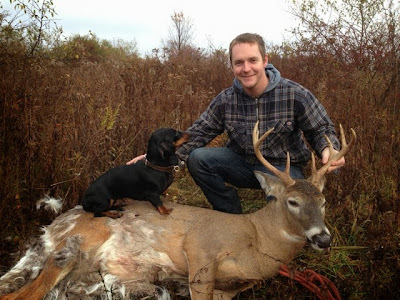 So tim felt it was worth the fees to make sure he recovered his best buck to date. Sypris made quick work of this buck and found him in 20-25 min. The blood trail did get sparse however I feel Tim would have recovered him on his own however in some cases we have recovered liver shot deer over 1,000 yards away. 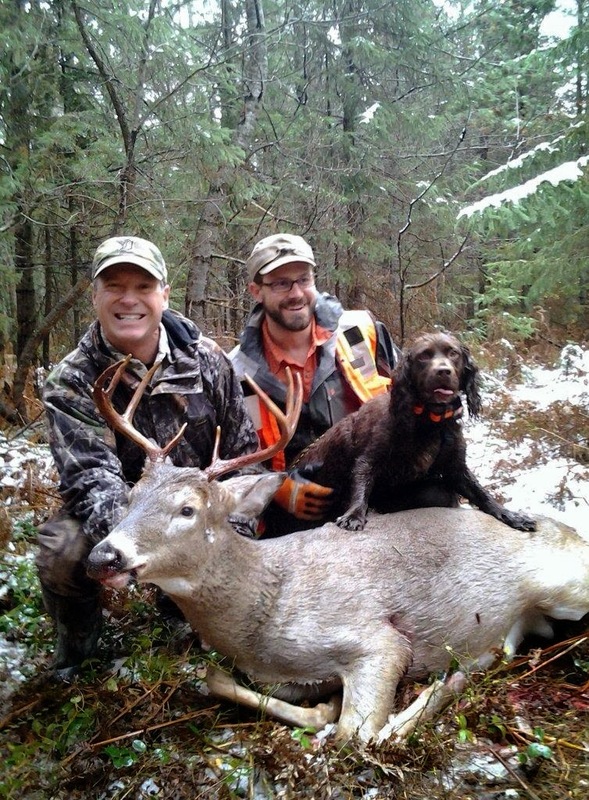 In this case Tim buck made it 400 yards. 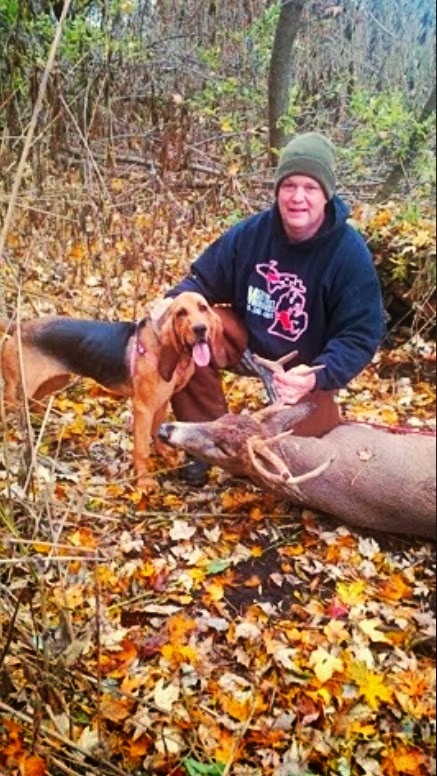 Congrats Tim and when in doubt back out and bring in the hounds as tracking insurance.